Here in California, we’re having a wet spring. While it’s lovely that we’re getting the water, it does put a bit of a damper on outdoor activities. I’m looking forward to a somewhat dryer summer so I can get outside to walk more often. Beltane is an interesting High Day for me. While many people celebrate this day as a celebration of fertility, the Northern Germanic folks celebrate Witches’ Night or Walpurgisnacht. This day is an interesting balance of the celebration of the fire, a celebration of fertility, and a celebration of power. How you view it is rather up to you. I do recommend that you do a little digging and see what you think. Check out the resources below to get started. Spring is a great time to be in our region. Stay safe, and if I can help, please do reach out! Working on your Dedicant Program? Here’s some useful links for you. John Beckett posted a Solitary Beltane Ritual on Patheos. Beckett’s ritual structure is more Wiccan-esque but it’s got some good ideas for the High Day, and only 4 of the 8 High Day rites have to be ADF Core Order of Ritual for your DP. To Poets, Magicians, and Priests. We have honored you well at our feasts. But greater from you we now seek. And with it we now hope to speak. Guide us in mind, heart and hand. For the Gods, for the Folk, for the Land. In a recent Facebook Hearth side video stream, Rev. Davin MacLugh talks about the importance of Fire in our rituals. 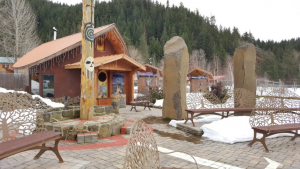 The snow is melting in Trout Lake WA and we can make our way to all of the Shrines! Our plan for this summer is the completion of the Cernunnos Shrine and perhaps, the starting of the next Shrine. 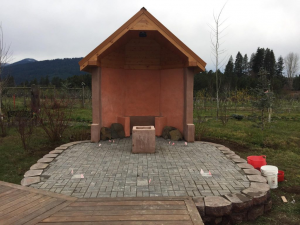 We are planning on having the dedication ceremony for the Cernunnos Shrine over the Eight Winds Festival happening at Trout Lake Abbey on July 13-16th this summer. In the meantime, we have six bricks that we would like to have inscribed by people. Two are 8×8 inch and can have 6 lines of 18 characters each. Four are 4×8 inch and can have 3 lines of 18 characters each. You can purchase these through our Patreon page, patreon.com/wmds. Cernunnos Shrine. Light colored square bricks and flags show location of remaining inscribed bricks needed. If you would like to make a one time payment, please contact Cascadia Grove directly, cascadiaadf@gmail.com. We need these to be ordered by May 15th in order to get them in place by July. We would love to see some inscriptions with Grove names on them. 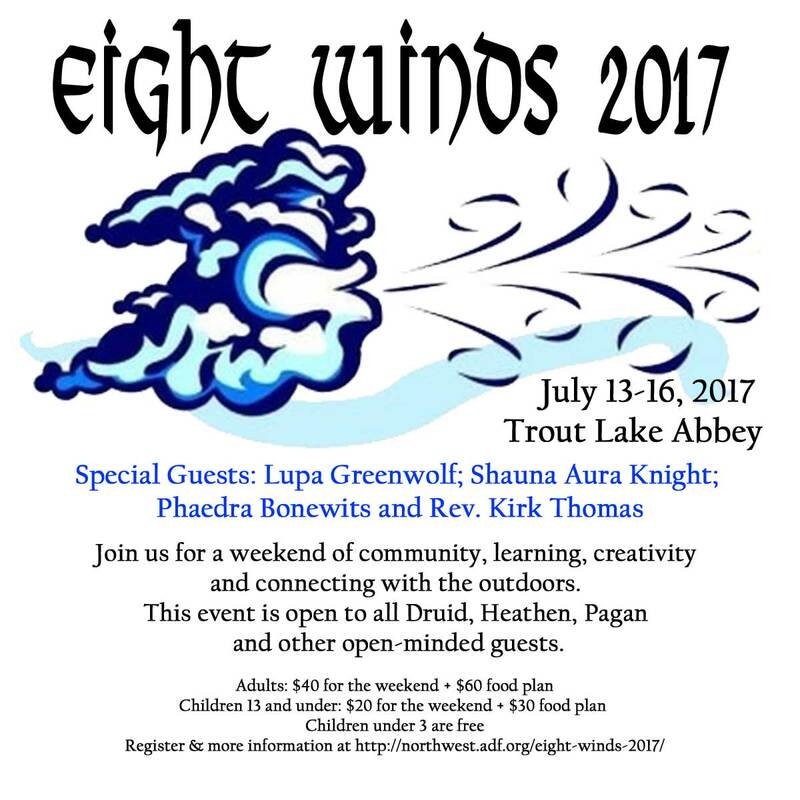 The two big Northwest events have their dates all setup – save the dates to attend one or both! Reminder that ADF is supported by your donations! Victoria S. is requesting submissions for a new anthology about ways that we can connect with the Divine. The Deadline is March 31 for Submissions.